First off, you may wonder what is AFR? Well... it's simply yours truly! 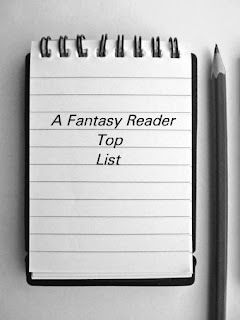 I know that everybody loves lists, as I do, so I thought that I could come up with some of my own from time to time, just for fun and mostly for the sake of discussion. When I posted earlier the new blurb for an Eddie LaCrosse novel, what went to my mind was the fact that it's one of the series with a first person narrative that I find the most attractive. This kind of narrative choice by an author is a dangerous one. Your character will have to be more than compelling and has to have his own voice to be fresh enough to last the entirety of the book as the sole hero. Your character has to be at the center of the action without exception and you can't alternate his PoV with another to bring perspective to the story. From my review : "[...] Cook skillfully created in Croaker a character I understood and cheered for, the perfect standard bearer for the company from which I would have liked to hear the tale.". The cynical physician could recount the tale of the Black Company for a long time before I grew tired of his delivery. Even if the interludes are in the third person, the main story retelling Kvothe's past is in the first person. There's no denying it, we all love the red haired lute singer. His story is entertaining enough but it's in his attitude, the fact that he never betrays himself and in his honest way of giving us his tale that he really shines. The 'James-Bondish' sword for hire, full of humanity, witty remarks and head traumas is a blast. I'll let my reviews speak for themselves : "Under the harshness of his profession, there's a vulnerable and insecure man with a tendency toward the 'princess and orphan saving knight'. Eddie wants to help and he gets easily into trouble but luckily he gets by still alive." or "[...] the narrative is fully his own and he delivers. The guy is genuine, every one of his actions, his skepticism, gruffness, loyalty and altruism felt right. With a character this much believable, one can only care about his hardship and preoccupations. He will unluckily get into a lot of trouble but that's the way I like to find him." I put him in the special mentions mostly because it's a new voice but a promising one at that. 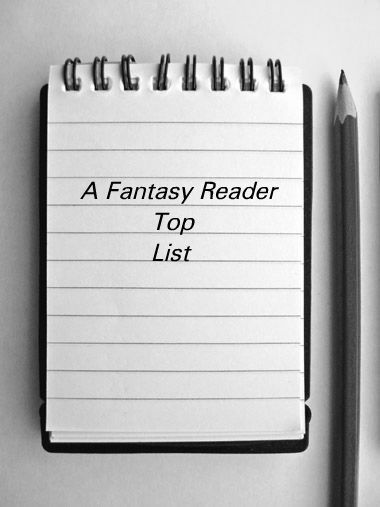 Wow, that character was awesome but I put him out of the list because it's Sci-fi and I wanted to talk about Fantasy novels but hey, he would have been at the top of my list. I really liked Warden from Low Town, which I just finished. He's a great mix of humor and cynicism. On that note, another favorite would be Frank Trigg from the Demon Squad series. On a totally different note of tone, Beauty by Robin McKinley. She does a great job of showing us growth, change, even in the beast or her ghostly handmaidens that Beauty may not notice--which is realistic--but we do. In an incredibly quiet book, McKinley's Beauty holds it together every word through (okay. The very end is rather corny, but still in the spirit if the book, so I forgive it). Inquisitor Glokta from The First Law Trilogy by Joe Abercrombie. Brilliant dark humour in an amazing character.